This week’s Time Magazine contained an article entitled Life’s Common Core. The author, Kristin van Ogtrop, listed 10 things, pieces of advice really, to the class of 2015, that have nothing to do with getting into college and everything to do with becoming better people. Included in her list was: writing a handwritten letter, spending a weekend without a phone, hold down a job that you don’t like, reading a book for fun, and writing a thank you note. Year’s back I attended a class at a retreat taught by Randy Gariss. The topic was living a whole life. The class was based on an article he had written for Christian Standard listing 10 things a full and complete life, living out the Kingdom of God, holds. Some of those listed were: a handful of Godly friends, solitude, a heart of worship, creativity, and service. The Times article got me thinking about what I would put into a checklist for a full life. What would I consider the Common core for life? It’s uncommon because it’s mine, but I feel like everyone needs some kind of central things that are essential to them being everything that God had created them to be. I hope that this list is imparted through my life everyday to my students and everyday to the people that I come into contact with. Worship. A thanksgiving to God for what He has accomplished in me and in this world. Without this my days and life have no reference point and no compass. It may be scripture, song, or sunrise, but worship, the mind being drawn to God’s activity and action needs to be central. Relationships. I must, MUST, spend time with my wife and with friends who challenge, encourage, entertain, and bring joy into my life. A day without these people is a day not fully lived with God’s purposes in mind. Paul tells Timothy to come to him to make his joy complete (Phil. 2.2). These people bring me joy daily. Pray. Its only when this muscle is used when you understand the importance of it. The days that start, flow, and end with prayer are radically set apart from days that aren’t. Jesus, in Mark 1.35, rose early to pray. I am not a naturally early riser, but the days when prayer is a priority, are easy to tell. Create. God is the Creator. Part of His image that we were created in, was the creative side of God. God told Adam to explore and rule, Bezalel to build, and Paul to write. Everyday there is a problem to solve, a message to communicate, a statement to make, we get to use our creativity to honor Him who first created. Stretch. I started fighting bulls because I needed to do something that scared me to death. Staying in the same spot, with the same knowledge, with the same skills, scares me to death. Learn a new skill, try a new thing, and be scared every once in a while. Stretch yourself daily. Eight pieces of homework everyday that God gives. Every night I lay my head down on the pillow, I turn in my assignment. In His grace, He knows that an “F” is not needed to teach me a less, but my conscience and His Spirit lets me know that I have failed. His word and His Son’s example, shows me everyday, even the extremely successful day, that I still have much work to do. 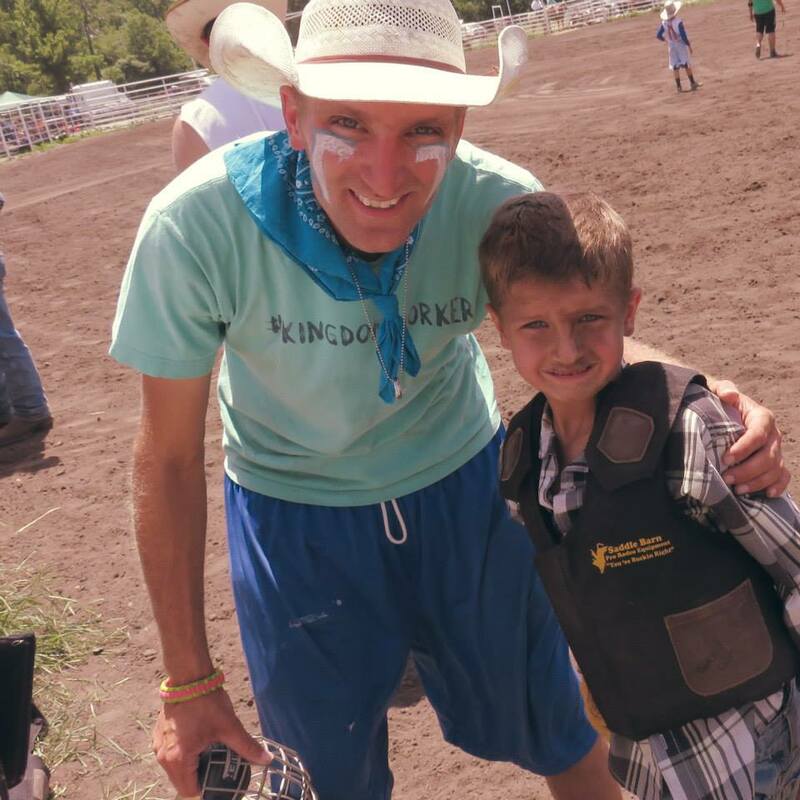 It’s fitting to talk about courage in the shadow of bucking chutes, which just happens to be where church was held Sunday morning at Homestead Rodeo School. 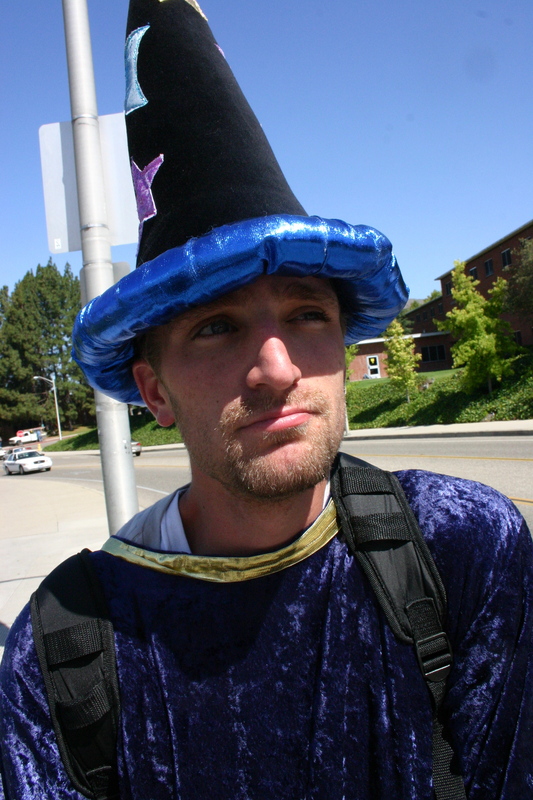 Chad Chambers challenged us to commit to living a life of courage and devotion to the Lord. For a group of men who are courageous every time they nod their face, it seemed ironic that the topic would be something they are so familiar with. But like many of them, my courage is often used in, for lack of a better term, trivial situations. I will stand in front of a bull, but will I talk with a stranger about God’s work in my life? I will get back on a broncy colt, but will I continue a conversation with my wife, apologize, or take leadership in our relationship? I will take a shot for a bull rider, but when it comes to standing up for those who cant stand for themselves, where is my courage then? The circumstances for these verses are no less dire than above. Jesus is leaving his disciples to change the world and he reminds them of his presence. John and the Church are facing heresy, controversy, and suffering, but Jesus is with them. Jesus is promising the disciples that they are going to be in the cross hairs, but he is with them. In times of great decision, God calls his people to courage knowing that He is active and working. When divorce looks like an easier option, courage is needed. When cancer is discovered, courage is needed. When bullying, bankruptcy, Alzheimer’s, separation, unemployment, or unexpected debt comes, courage is needed. It is the men who make-up with their wives who display courage. The father’s who ask their son’s for forgiveness who take courage. The men with integrity who own the issues at work who show courage. And in those times, God says: “show courage because of who I am.” I forget that He is with me, and that is when I best display my cowardice. One of my favorite poems is “The Fence that Me and Shorty Built” by Red Stegall. 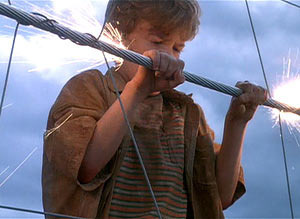 Its about the lesson a young man learns while putting up fence. 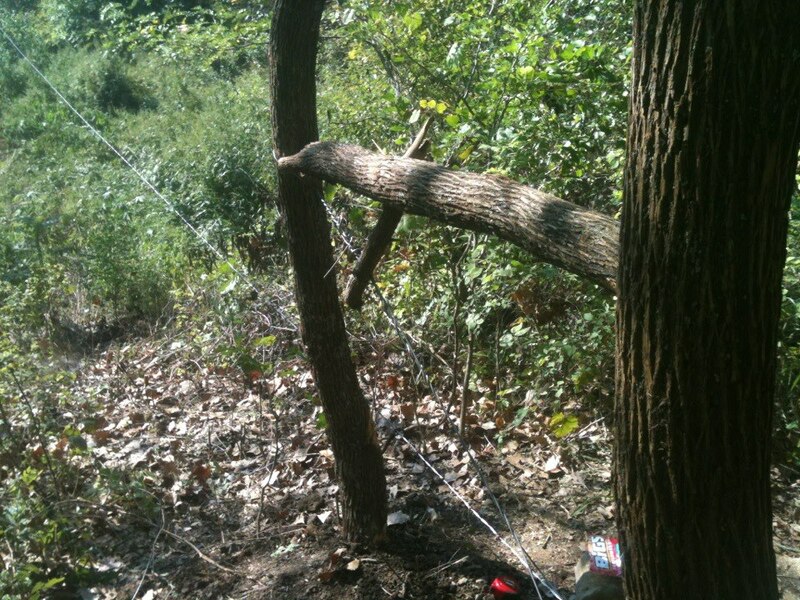 Putting up a crooked fence is a lot simpler and quicker than it is to put up a straight one, but it ain’t right. The poem is really about hard work, perseverance, and that it takes time invested to do things correctly, as Shorty explains. I recently started a book called “The Great Omission” by Dallas Willard. Instead of the Great Commission of Matthew 28.18-20, to “go and make disciples…”, Willard notes that we have omitted the word “disciples” from Jesus words and instead made christians who don’t commit, believers with no depth, and church people who refuse to sacrifice. He notes that discipleship, the act of obediently following Jesus to whatever end he calls us to, is going extinct in the Church. As I thought about this observation today, I came up with a couple reasons why I think discipleship is on the decline. The first is time. In life we treat time as the greatest currency. We get angry when YouTube doesn’t load fast enough. Walmart lines will be the death of us. That is what working with horses, dogs, and cattle teaches me everytime. Though I am on a schedule, with a limited amount of time, they seem to care little about my to do list or wasting my time. Discipleship is the same way. When following Christ, there is no short cut, no fast way. It takes time. We neglect discipleship because it doesn’t neatly fit into our fast paced lives. Jesus spent 3 years pouring into his disciples daily, but we plan to do it in 45 minutes on a sunday morning or hour on a Tuesday night. I make myself too busy to disciple someone. The second is commitment. Not on the part of the disciple, but the discipler. Ashamedly, my spare time is sometimes to valuable to spend it on helping someone to look more like Christ, to follow him more closely, and to think about people like he did. When it comes down to it, I neglect a 15 minute drive into town for coffee just to see how someone is doing. I pick up a rodeo, go ride horses, or put up fence, instead of challenging, investing, and encouraging someone’s walk with Jesus. Jesus’ three years with these guys was punctuated by desertion and denial. But his disicples would take the gospel to the ends of the earth. Three years is a long time to invest in someone but in light of eternity, it is well worth it. I know the math in my head, but my heart doesn’t follow. I want to be a disciple who disciples. I want to be the kind of guy who pours his life into younger believers, but these two things stand in my way. Both problems that I have complete control over. I, like the rest of the Church, need to set aside our time and make the commitment to disciple newer believers. Four cowboys rode out to check on the ranch. Pete was a hardheaded ole’ boy who was handy with a horse, good with a loop, and stubborn in his ways. He was as staunch in his ways as a hedge post set in concrete. He figured that anything new he learned wasn’t as good as the old stuff. When the old stuff became newer than the new stuff, he’d learn that. In his time on this earth, the old stuff never became newer than the new stuff so he thought he knew the old stuff best. Get it…neither did Pete. Reggie was a well-traveled cowboy. He had a past that most couldn’t fit into a lifetime. When it came to side jobs and hobbies, Reggie was a self-proclaimed master of them all. He had lived a cowboy’s life, drifting mostly, sinking occasionally. During these times of ups and downs, Reggie had tried his hands at all sorts of vocations. He was now riding the range because he couldn’t find a catch slogan for his horse training business. 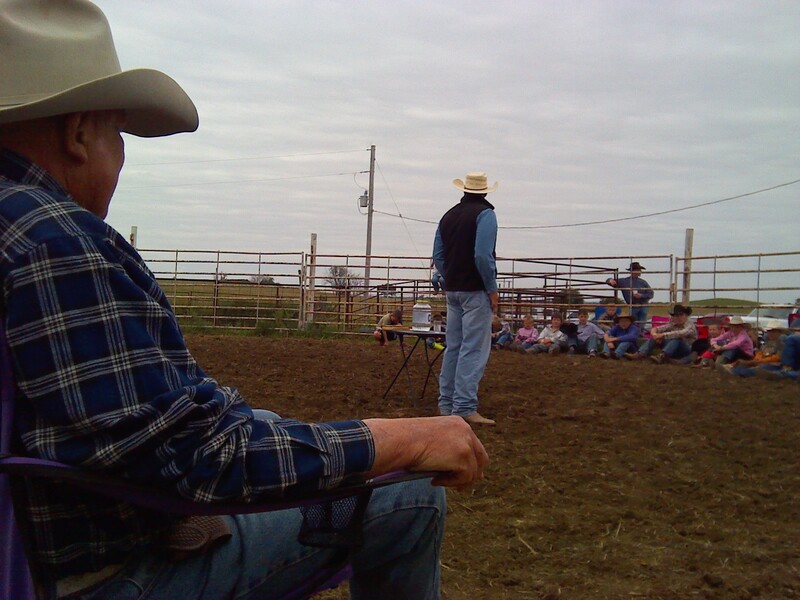 He was training horses because no one in his church would believe their Pastor’s cowboy stories. He was only a Pastor because he’d shoe’d for 3 months and his back went out. The Shoein’ business was his way out of team roping, which was his way out of Saddle Bronc ridin, because he got too old to ride bulls to get out of vet school. No one ever accused Reggie of thinking too much and just like his expertise, his intellect was about a mile wide and an inch deep. Reggie was a jack-of-all-trades and master of none, but was always good for a story, made up or otherwise. Tyrell was probably the best cowboy of them all. There wasn’t anything he couldn’t accomplish atop of a horse. Tyrell had come upon the cowboy like most others. Job is bad word in cowboy camp, so Tyrell became a cowboy to avoid work. While he was avoiding work he became a school of hard knocks businessman. While he rode the range for the “Lazy L”, he also owned his own herd of prized black angus, some quarter horses that go all the way back to Poco Bueno, and a knack for turning a profit on any trade, like his zebra for civil war musket trade he was telling the guys about on the ride. He worked on the side at the sale barn and whatever was left at the end of the sale was Tyrell’s next trade item. He was stretched to the limit with appointments, meetings, and work, but made a heck of a cowboy. George was a pretty bland cowboy. His gear was worn out but holding together, his horse was not overly athletic but trustworthy, and he was experienced and dependable. He had cowboy’d most of his life on ranches from Alberta to Abilene. He knew spring calving, fall calving, and every other option. He’d ridden good mounts, free mounts, and dis-mounts. There wasn’t much about the cowboy life that George hadn’t experienced. All that wisdom showed in the caution and reflectivity that he displayed everyday on the ranch. The four men rode out to check pasture one day. They hit a lope as the took out from the homestead. On a ranch that size the only way to move fast was to go slow, so they made every effort not to tire out their horses. Their horses were bred to cover ground and they made it across the ranch in plenty of time to check the fences and take some time to relax before the foreman was to check in on them. The stopped next to a deep, clear creek surrounded by shade, a virtual oasis on their scrub brush ranch. They unsaddled their horses to give them a rest, and jumped into the clear water. There had been too many 100 degree days in a row to count, so this was a much welcomed refreshment that they had waited for all summer. With their bellies full of water and the coolness of the creek fending off the summer heat, they climbed on to the bank only to find the ranch foreman atop his buckskin quarter horse looking down on them. He had seen their work and knowing that this was his best crew, he wanted to get them back to the homestead for a much deserved long weekend off. With the weekend rodeo on their minds, they wanted to make quick work of the trip home. Before the cowboys took off they needed to “utilize” the facilities first. The ranch lacks portajohns, bathrooms, or outhouses, but shrubs and bushes are in abundance. Pete went over to where the brush was thickest. The foreman warned him not to go over there but Pete’s hard headedness got in the way. In a few seconds a shriek pierced the air and Pete lay sobbing on the ground proving that in the right circumstance a cowboy will cry. Reggie wandered over to the same bush to go potty as well. The foreman told him not too, but Reggie heard the warning and it gave him pause, but he was never one to mull over such things for too long and he too let out a cry moments later because of the same bush. Tyrell was ready and raring to get back himself and those bushes were close by. The foreman had warned him not to go there, but Tyrell was far to busy to heed such instruction. He had places to go and this place was as good as any to go. His blood-curdling scream could be heard throughout the range. In Mark 4, Jesus told a story one time about four different kinds of soils. The path was beaten down and hardened, refusing to let a seed take root. The rocky soil was impressionable but no deep enough to let seed sink roots deep enough to survive. The thorny soil was good soil for growing things but allowed everything to take root. The thorns and weeds were to thick to let anything of value grow. Finally, the good soil was one that received the seed and let its roots sink deep. The four soils, like our four cowboys, represent our response to the Word of God. We could be like Pete (the path) and be so hardened to instruction that it never sinks in. We could be like Reggie (the rocky soil) and hear the warning but it never gets beyond our ears and into our life. We hear it and for a short time obey, but it never does get deep enough into our life to change it, so it ultimately perishes. We could be like Tyrell (the thorny soil) who was just to busy with life, in too much of a hurry, and had to many other important things to listen to the foreman. Wouldn’t it be nice to be George (the good soil) to accept the teaching and warning from the foreman? Heeding the instruction given, George is able to grow and learn. The Word of God is given to us, to guide us, to reveal to us the nature, character, and love that God has for us. It is our hearts where that instruction is planted and, depending upon how it is prepared, accepts or rejects its message. Our hearts, just like each of the cowboys, must be willing to hear the message from the Foreman. Which cowboy will you be? From the Church you could see the rest of town. The town was actually so small that they had another towns mailing address. You have heard of one-stoplight-towns, this was a no-stoplight-town. Still, our couple hours of time spent in that small town in Northern Missouri, changed my heart and my vision for what ministry could look like. We had spoken at the Omaha Baptist Church’s Youth Weekend and the final session was to take place on Sunday morning for Church. My wife and I followed the students into the town with the rest of the students and pulled up to the front of a pretty good-sized church. With a couple minutes before Sunday school, Rich, the youth retreat leader, volunteered to give us a tour of the new addition. They were adding on a gym and new auditorium and a few class-rooms. I would find out why a few minutes later. When Sunday school began, the preacher closed a divider that split the sanctuary off from an overflow room. In the sanctuary, one of the elders led nearly 50 men of all ages through the chapter of Kingdom Man that was assigned that week. In the overflow/kitchen area, a woman who has celebrated very many 29th birthday’s, led the women in their study of Kingdom Woman. My wife came out of Sunday school nearly in tears. “Older” women leading younger women in study is something that is very near to her heart. It was a church living out Titus 2.3-5. My sermon that day was on the text I’m writing about today; the idea of passing on your faith and ministry. 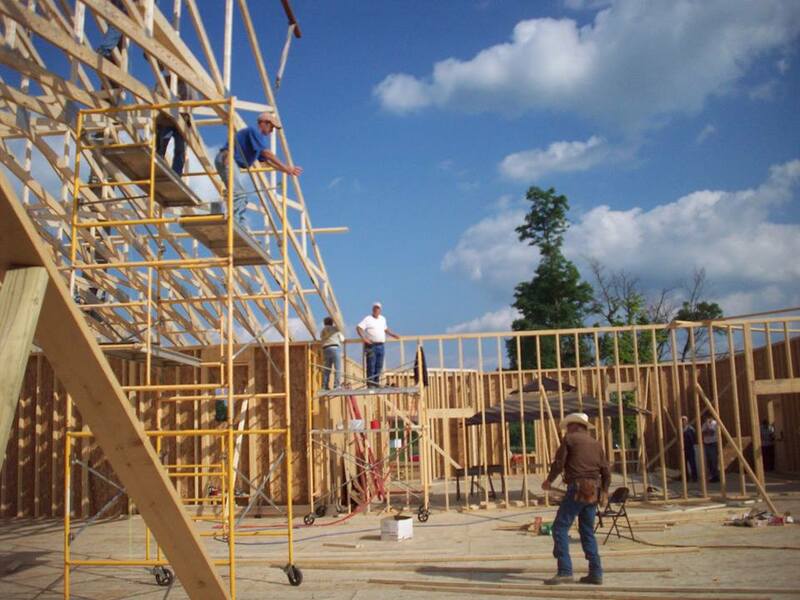 Here I was planning to encourage the people of Omaha Baptist Church to train the younger men and women for ministry and I find out that the young men put up the trusses for the building alongside the older men, the women were learning Sunday school from more experienced women, and their deacons and elders are in constant training to lead others. I HAD NO SERMON TO PREACH! They had already taken it. The truth is: Ranching/Farming families and communities have few other options that pouring into the next generation. With 200 bales of hay in the field and a storm coming, a 10-year-old becomes a hand, not a kid. When the cows need brought in, sometimes the only help you have is family. There is a reason Tricia and I pray that our kids will want to rodeo. The kids we see at rodeos are self-reliant, hard working, and responsible. They were taught by their parents, grandparents, or whom ever, how to do things and accomplish tasks. Some of these kids are handier than I am. Second Kings 2 captures the last moments of the relationship between Elijah and his protégé Elisha. Just as Moses was succeeded by Joshua, Paul was followed by Timothy, and Jesus commissioned his disciples, Elijah is handing off his ministry to Elisha. Elijah and Elisha are heading out from Gilgal. Elijah turns to Elisha and says “stay here”. Elisha says no. When they arrive at Bethel, after a meeting with the prophets there, Elijah went to Jericho. He told Elisha to stay there, Elisha said “no”. Jericho was the same story all over again: a meeting with the prophets there and high-tailing it out of town to the Jordan. Elijah say’s stay here, Elisha says “no”. Life on the road was Elijah’s method. Three times here and how many other times during Elijah’s ministry did he chat, talk, prank, and teach Elisha on the road. “On the way” (hb. derek) was where the Israelites were to teach their kids (Deut 6.7; 11.19). God knew how to leverage a journey. Jesus spent most of Luke teaching “on the way” up to Jerusalem. The disciples were following him all over the Judean countryside soaking up his teaching along the way. Elijah is expounding things to Elisha on the way to wherever. This generation is a journey generation. They love stories, adventures, and action. They want to be part of the story and the best way to teach them is to invite them on a journey. They are looking for someone to “walk with”. The second thing about this passage that stands out is the copying of Elijah by Elisha. When Elijah had reached the Jordan, he took off his cloak and struck the waters of the Jordan with it, dividing it into two. They walked across the dry bed of the river, and reaching the other side, Elijah asked Elisha what he could do for him before leaving. Elisha asked for a double portion of Elijah’s spirit. Elisha’s ministry would double the amount of miracles than Elijah’s, but that isn’t what he is asking. He is asking the question of inheritance. Elisha is asking for a first son’s share of his ministry, his name, and his work. The first son, the oldest, would get a double portion of a father’s possessions. After Elijah was taken away and Elisha received the double portion, the Jordan stood between Elisha and the beginning of his ministry. Elisha removes the cloak that he had picked up from Elijah (he tore his own clothes), and marched back to the Jordan. He did what he saw Elijah do earlier, and struck the waters of the Jordan, dividing it to the right and left. In the same way Elijah worked, so Elisha emulated. This generation is not a watch-and-see generation. They want to be part of the work. They want to get their hands dirty. It looks like Jake shoin’ horses with his grandfather; Shanie and Kassie hauling stock with their parents; Blaine working the feedlot with his dad in Council Grove. The next generation refuses to sit the sidelines…they want to be part of something bigger. They are looking for someone to “do-with”. For years I searched for someone who would “walk-with-do-with”. I looked for a mentor to capture that vision, to lead and train me to become the man I wanted to become. For years the Church let me down in that aspect. I had some mentors, Phil Maddux and Doug Aldridge, who poured into me and taught me these things, but since leaving college have been without someone like that. Someone to “walk-with, do-with”. Christians, we need to teach this vision in church. We need to implement this vision in our own lives. We need to learn from the ranch and farm, where the next generation needs to learn to ropes. Within the city limits, it’s a little harder to find and do, but it is possible. Take a kid shopping, to the bank, to the park, wherever, but take them. Include them, show them and teach them. Walk-with-do-with. Its how Elijah trained Elisha, and its how the Church needs to train its youth. Take a lesson from the ranch and lead our students and younger people from our experiences. Hurry up and read this! Its tough at times to keep up a pace. I’ve started working with leather to teach myself patience…its not working. I rush a lot. I would say “hurry” but its one letter longer than “rush” and thats not how I do things. Today was one of those days where my pace of life was on display. I so desperately want to return to the days when our pace was dictated by the rise and fall of the sun. When hurry was not in our vocabulary. The word that has been buzzing in my head about this lately, I stole from a buddy of mine. You know what a margin is…right? Its that part of the paper that you don’t write on. Its the leftover part, the unfilled part, its the area that is unused. Im not as good with my time as I should be. I struggle with stewardship in that area. But I feel like my margin is getting marginalized (see what I did there). There is less and less leftover at the end of my day, week, and month. I have noticed that I serve God more faithfully when I have margin. Its not a chore to invest, take interest, counsel, or interact with someone when Im not running full tilt. I talk with people and care about them more when Im not rushed. I serve better when I have time. “I can take that trash out…”; “I can take your tray…”; “let me hold this door for you”. I think Jesus lived at a pace that his disciples could follow and keep in time with. Probably ticked off Judas a time or two with his lack of hustle, but everyone else was ok with it. In his time, he accomplished more for people than anyone else ever had. I need to start saying “No” to some things. I need to prioritize better…steward better…plan better. These things have never worked for me though. What I need to do is TRUST better. Trust that God will take care of the things I can’t, don’t get to, or run out of time for. I need to trust that He is able where I am not. At the end of the day…I have a trust problem, not a hurry problem. One hundred and fifty years ago, the cattle boom was taking over the western United States. Cowtowns were popping up across this state as thousands of young men were joining crews to push longhorns up to them. The wore their boots, chaps and hats. Rode good horses with good saddles and gear. They carried lasso’s, wore spurs, and trailed the cattle. Now 150 years later, the descendants of these men, in much the same fassion, use/wear/pack the same gear to do the same goal. Though separated by many years, they look the exact same and their stories are very similar. The same repitition in the history of the cowboy is often seen in scripture. David and Ahab were two men with the same story. Both men took something that didn’t belong to them. Both men unjustly dealt with the rightful (and righteous) owner. Both men needed a prophet to show them the errors of their ways. When Ahab was in his palace in Jezreel, he saw something he wanted. In the same way that David spied Bathsheba bathing and desired her (2 Sam. 11.2-5), Ahab saw a vineyard that would suit his purposes well and wanted it (1 Kings 21.1-2). When Naboth refused to give up his garden, Jezebel went to work. Jezebel came from a culture where the King took what he wanted from the people, but the King of God’s people was to serve and lead the people. Jezebel arranged for Naboth’s death, and just as it did in Uriah’s, a letter was the catalyst. “So you have found me, my enemy?” It is amazing what a guilty conscience can do in the face of confrontation. Elijah has gone from his troublemaker (18.16) to now his enemy (21.20). With Elijah before him, Ahab understands that his actions are contrary to what God desired and he is going to take it out on the messenger. Confrontation is hard to do for a people who are called to ‘love one another’ (John 13.34-35). Amongst Christians, confrontation is often neglected. We don’t confront one another concerning our attitudes, actions, hypocrisy, or theology. We refuse because, as our logic goes, “it is more loving to let them go.” Now, hear me in this, I don’t think we should go out and confront everyone and everything, but Elijah and Ahab have history. Ahab is in a place of leadership, and Elijah in a place of holding him accountable. Every one of us need a few Elijah’s in our lives, because every now and then, everyone of us is an Ahab. Nathan came to David and pointed out his sin. Elijah came to Ahab and showed his. Who is it, that you will listen too, who will point out the sin in our lives that we overlook. Sometimes sin becomes too common, sometimes its hidden to our own eyes, and sometimes we don’t even notice it…regardless, there is someone who sees the problem, the effect, or both and can call us on it. Elijah is that for Ahab. Nathan for David. The message is given in love. The moment we feel attacked our defenses go up and we begin to make excuses, deflect responsibility, deny the event, or shut down completely. But if the message is given in love, approached with care, and bathed in compassion, we are much more open to correction. As Paul reminds us in Ephesians 4.15: “…speaking the truth in love…” grows us up in Christ. The sin is given its due. Occasionally in our confrontations, in effort to be more loving or merciful, the sin, and its full effect, is never spoken of. Elijah points out to Ahab; “you have sold yourself to do evil in the eyes of the Lord…you have provoked me [God] to anger and have caused Israel to sin.” (21.20-22) The sin was pointed out and the effect was made known. The goal is repentance and reconciliation. David composed Psalm 51 after meeting with Nathan. Ahab tore his clothes, put on sackcloth, fasted, and humbled himself before God. (2 Kings 21.27-29) When Christian’s approach each other, correct each other, and hold each other accountable on doctrine, sin, or life, the goal of the meeting needs to be repentance and/or reconciliation. This is the ministry that Paul gives us in 2 Corinthians 5.19-20. So what about you? Do you have someone in your life who adequately see’s who you are and where you fall short? Is there someone to celebrate with you when you are victorious? Is there someone who cares about you enough to confront you? If you don’t have that, look for it? Search it out? Because every one of us makes mistakes and falls short, sometimes we even know, but Ahab and David needed someone to help them out, and each became a better man for it.